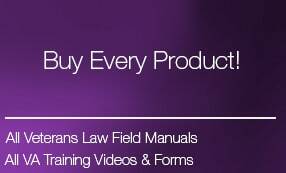 If you purchased all of the Veterans Law Blog Training Guides and Video Programs, it would cost you over $540! 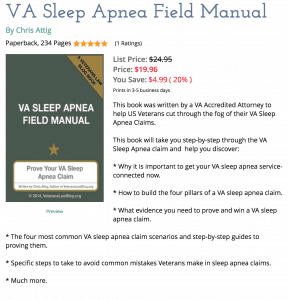 If you Buy Every Product from the Veterans Law Blog …. in one secure purchase….and save $232*! * How to Put it All Together – the 5 Most Common Service-Connection Scenarios. 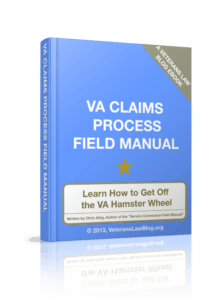 The VA Claims Process is complicated – some call it the Hamster Wheel. 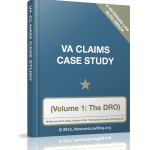 If you know how something this complex REALLY works – in a clean and straightforward presentation – you can focus your energy on getting the right evidence to the right people at the right time in your VA Claim. 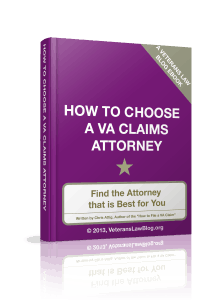 This Veterans Law Guide will teach you each of the major stages of the VA Claim and Appeal, so you can do just that. 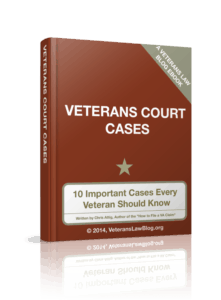 #3: 10 Veterans Court Cases Every Veteran Should Know. Veterans Court Cases are more than just boring statements of law and legalese. 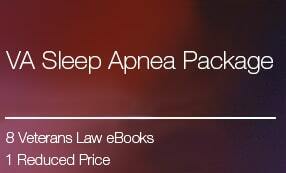 This Veterans Law Guidebook teaches the 10 Cases that Every Veteran Should Know. 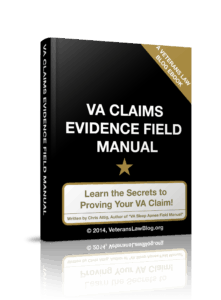 #4: VA Claims Evidence Field Manual (The Secret to Proving Your VA Claim). You can’t win your VA Claim or Appeal without evidence. And my experience is that the Veterans that submit a certain type of evidence get their VA decisions more quickly. 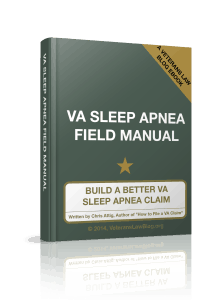 I will teach my method of using 5-Star Lay and Medical Evidence to prove a VA Claim or Appeal – and share my unique Lay Evidence Worksheets and Sworn Declaration forms. In the 7 years, I’ve looked at HUNDREDS — if not THOUSANDS — of C-Files in cases that the VA has denied a Veterans benefits. 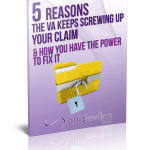 There are patterns showing why the VA Keeps screwing up your VA Claims! Here are 5 ways to break those patterns the VA isn’t going to share! I see it all the time – a Veteran gets in over their head in their VA Benefits claim, and then scrambles to find an attorney. Often, they make a choice that may not be ideal for their claim. I teach Veterans 8 Things they should know before hiring an attorney in a VA Benefits Claims. Included is a 30-question checklist to use when interviewing attorneys. 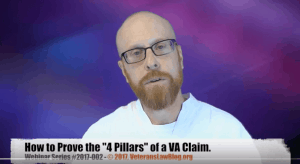 TDIU can be a complicated and sometimes overwhelming claim or appeal for a Veteran – even the VA regional offices and BVA get confused about what you need to prove to get this benefit. 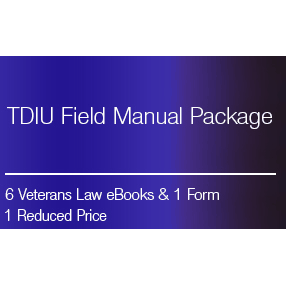 Rather than overwhelm you with lawyer-talk, legalese, and convoluted analysis, this eBook presents the core information that a Veteran filing for TDIU needs to know. 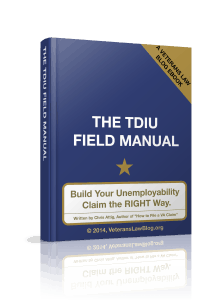 This eBook will help you understand the process, law and strategy of the average TDIU claim – written in plain English. In this case study, the Veteran got to his DRO hearing and was told that his Major Issue – Ischemic Heart Disease resulting from exposure to Agent Orange on the Korean DMZ – was not on appeal. This Case Study is a helpful look into how the DRO Process can help you achieve a positive outcome. 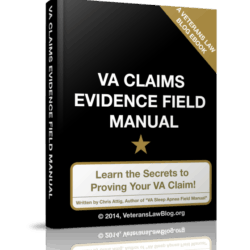 If you are going to submit lay evidence, wouldn’t you rather the VA give it full legal weight? Of course you would. 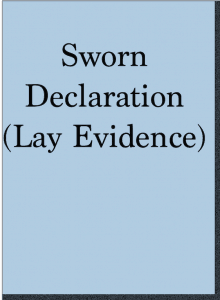 Use a Sworn Declaration form that my law firm uses to add lay evidence to the Veteran’s appeal. The sworn declaration – according to 28 USC § 1746 – carries the same legal weight as a notarized affidavit. 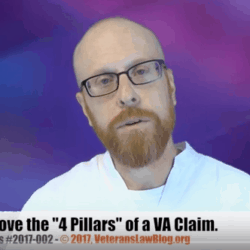 This 5+ hour video, broken into easy-to-follow lessons, teaches you everything you will need to know to have a strong understanding of VA Claims eligibility….the 5 Paths to Service Connection….how to prove an impairment rating….how to make sure you are getting the best ratings possible…how to fight for the earliest effective date…and much more. This 25 minute video gives you MY 5-step method to persuasive writing. I use it in all of my cases, and for all of my clients. 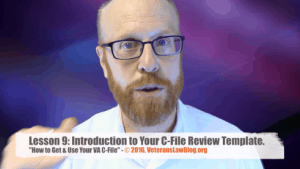 I’ll teach you how to make your VA Claims arguments MORE persuasive…..and….how to give the VA written documents that are more clear and concise. 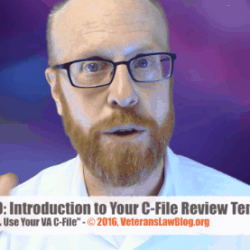 My goal is to teach you some basic writing tips so that you know how to tell the VA exactly what you want. 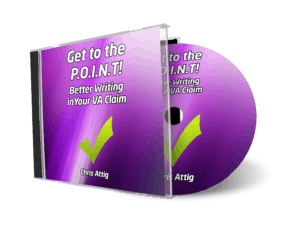 PLUS, I’ll share my 7 Tips for Editing your writing that will fix 80% of the problems in your VA Claims arguments. 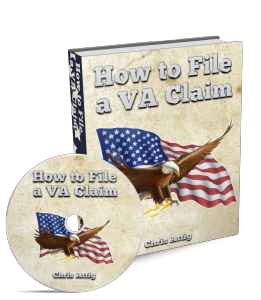 How to Prove Service Connection in a VA Disability Compensation Claim.